to take strokes off your game effortlessly. With the revolutionary approach to improving your play which has been endorsed as "better than a dozen trips to driving range", and applauded by Professional Golfers as showing you "the road map to the Zone" - you will not only be knocking off strokes, you'll be impressing your friends. PAR AND BEYOND is the half-day seminar based on the work of Dr. Jerry V. Teplitz, and is a method which enhances your learning and performance process. It is guaranteed to help you play your ultimate best by allowing you to implement what you will be taught from an energy standpoint. An increase in your energy level, your focus, and your ability to put yourself in the zone and stay there, will be just some of the outcomes you can expect to happen immediately after you have finished taking this seminar. Read more about the process here, Road-Map to the Zone. 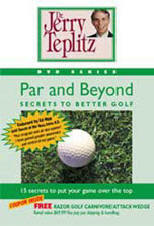 Par and Beyond will not conflict with the golf lessons you have been taking. It will actually support what you have learned in the past and bring you to a new level of experience, success and enjoyment of the game. That's what makes it revolutionary - it works with any training. It's not about golf mechanics, it's about golf energetics! 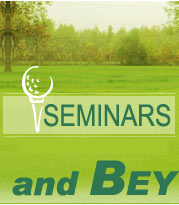 Regular $85 value included for seminar participants. 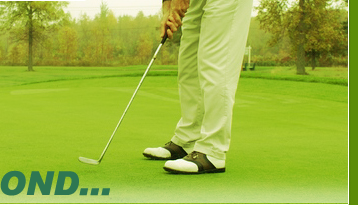 found yourself distracted and unable to concentrate on the golf course? hit a shot into the rough and carried the vision of that shot to the next tee? gotten angrier and angrier with yourself at each hole? thrown or broken a club? 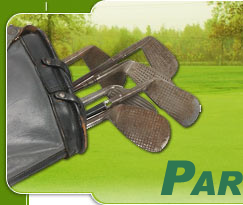 lost the fun and enjoyment of playing golf? Wanted some PROVEN help to improve your game? If you answered YES to any of these questions, then you have found The Perfect golf help solution for YOU! is a practical and dynamic half-day seminar that gives you the tools and techniques that immediately put you in charge of your energy system. It's completely different from any other training you've attended. THIS PROGRAM does not teach mechanics and technique, so it doesn’t conflict with what you have been taught by your Golf Pro! This break-through system lets you take STROKES OFF YOUR GAME - effortlessly and consistently; by combining the powers of your mind and body - you function more effectively on the golf course. "Everybody talks about playing in the zone but how do you get there? With what I have experienced I feel this program begins to bridge the gap from talking about playing in the zone to actually showing you the road map to get there. I am excited about incorporating more of the principles in my own game and also in my teaching"
"My golf coach, Ed Hipp, had shared with me your Par & Beyond: Secrets to Better Golf. Not long after this presentation, I had an opportunity to play golf, and to remember and utilize some of the information you share. I was amazed to score my lowest score ever!! - a full 7 strokes off my previous best score!!" ...if you'd like to sponsor an APPRECIATION SEMINAR for a group or friends, or be informed when the next seminars will be offered in your area! Seminars are available to be presented at Association Conventions and Corporate Meetings, and can also be offered as a "Thank You" to your company's business associates or clients. 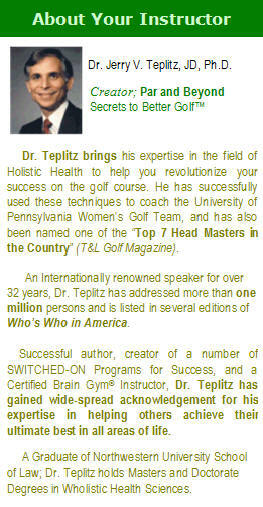 For details, email Info@Teplitz.com or call Toll-Free: 800-777-3529, and ask for Sandra Lee; Director of Marketing.